The DERPART Reisebüro Weissenborn in the Colonnaden 72 is the first address when the topic is individual travel offers and personal dream journeys. As knowledgeable travel experts with long-standing expertise, we will, together with you, find your dream vacation. We have an outstanding network with all tour operators and airlines, as well as cruise lines and hotel providers, at our disposal, and can prepare a completely individual trip for each customer. 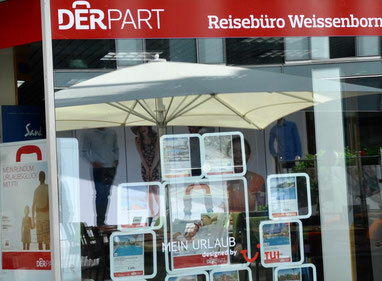 Our offer is extremely varied: From last-minute holidays, over city trips, cruises, and tours, up to flight bookings – in the DERPART Reisebüro Weissenborn we look after your wishes in a very flexible manner. Comprehensive counselling is a priority for us; we take our time for you. During the week we are there for you from 9 am to 6 pm, and on Saturday we make counselling appointments by arrangement. Benefit from our depth of experiences and share our fascination for other countries.